This family orientated residential suburb in Knysna is situated close to Pezula, the Knysna Golf Club, the Knysna Private Hospital, the Hunters Estate Medical centre with its numerous specialists, restaurants at the famous Knysna Heads, and the sandy beaches of Bollard Bay on Leisure Island. Most homes in Hunters Home enjoy a northern aspect, which is essential for sunny, warm living. Schools in close proximity are Knysna Primary and Knysna High, as well as Oakhill Private School. The centre of Knysna with its numerous shopping malls and restaurants is only an eight minute drive from Hunters Home. For convenience there is a local supermarket and petrol station a mere five minutes away. The houses in Hunters Home are built on generous stands ranging from 1 000 to over 4 000 m². As a result, the homes have the advantage of privacy with wonderful large gardens - perfect for children and pets. The suburb has only 271 full title properties. To buy a property in Hunters Home will cost roughly between R1 500 000 and R3 000 000. 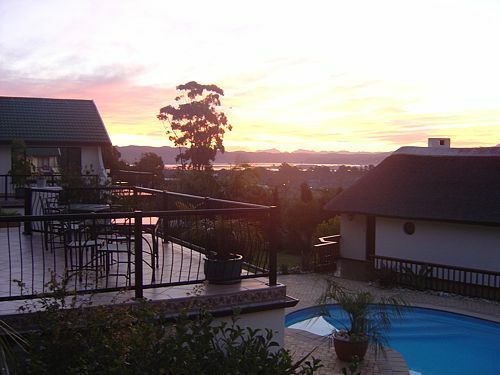 Properties in Hunters Estate, bordering on Hunters Home, have wonderful views of the Knysna lagoon. The secure Hunters Retirement Village offers approximately 119 units ranging in size from 60 m² to 270 m². There is a community centre, a resident nurse and a frail care unit attached to the Knysna Private Hospital. The centre also offers a bus service to ferry residents who do not drive in and out of town. If you appreciate gardening and bird watching, buying a property in Hunters Home will probably meet your requirements. Although this Knysna suburb is more popular amongst permanent residents, there are a huge number of guest houses and B&Bs in Hunters Home, which are fully occupied during the many Knysna festivals hosted throughout the year. These include the Pink Loerie Mardi Gras and Arts Festival, the Knysna Hill Climb (around and about the beautiful Simola Golf Course), and the famous Knysna Oyster Festival (which includes marathons, cycling races, and enjoying Knysna oysters - our local specialty). Hunters Home truly offers a home to those who wish to stay in Knysna - both to the tourist in the Garden Route or those who wish to permanently live in Knysna.